YouTube Updates Live Broadcast Tools: YouTube has modified a number of existing features commonly used by live streamers. Broadcasters have an additional option to have more latency to streams, simplify moderation, and stream more easily from the YouTube app. Facebook Page Profile Picture Changes: Facebook user profile images will now appear as circle solely in the News Feed. The change may require some users to modify their images. Page profile images will still appear as a square over the Page cover. 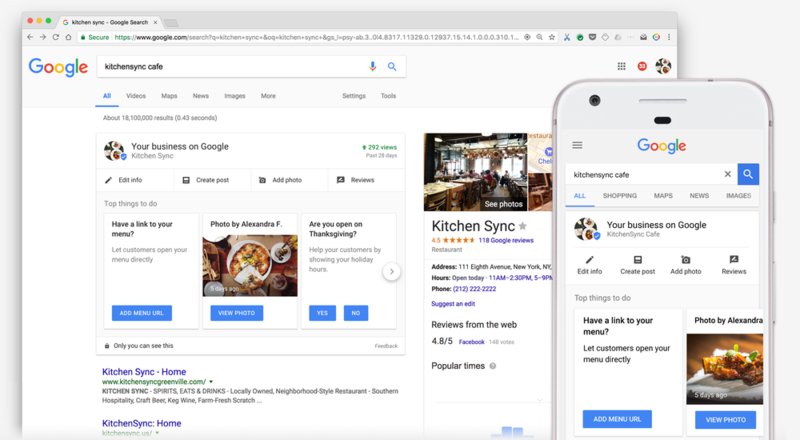 Google Launches Dashboard to Help Businesses Improve Search Listing: Businesses can edit and improve their listing in Google Search with a new dashboard available right in search. Businesses will have to have a business account in order to see and edit their information.